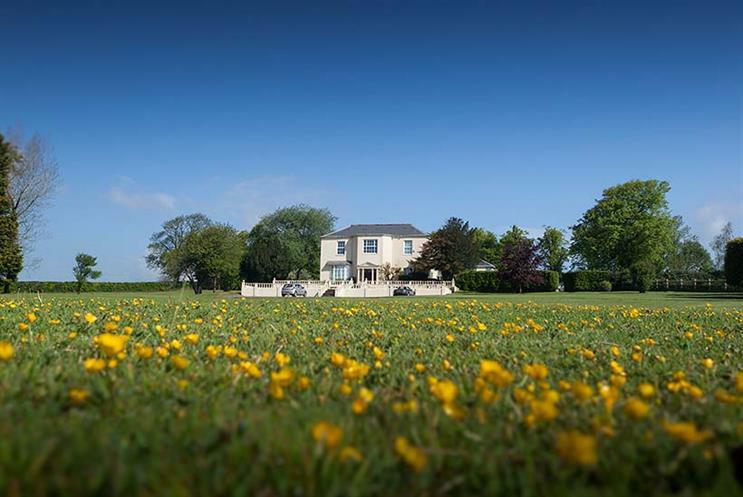 You might be surprised to find one of the UK’s top agencies in a field in Devon. But then, surprising is what we do. We’re very different from the UK’s other big boys. Where they have walls, we have open spaces. Room to think. The people who work here help us create award-winning work across every marketing discipline for B2C and B2B clients, from growing to global. And when they log off, Devon’s beaches and pubs and moors are their playground. Could that be why people stay here longer than other agencies? It could. So if you want to be challenged, rewarded and inspired, there’s probably nowhere better to be. I often wonder what my university friends think I’m doing, based on the things they see on Facebook. Almost all of them work in advertising and all of them live in London. Their status updates are about extreme house/rent prices, long commutes, bruised ‘Tube foot’ and expensive pints. My recent posts include a picture of my new veg patch, a cow trying to muscle in on my selfie, and after-work beach walks. When I think that, along with the lifestyle, I work with a range of clients, from BP and Visa to Jägermeister and Golden Wonder, I realise I’m very lucky. …be sat on one of the top five beaches in Europe within 30 minutes of logging off? …dodge a deer, pheasant, badger and buzzard on your morning drive to the office? …commute 10 miles in the height of rush hour - in under 20 minutes? …have lunch in a proper country pub, serving real ale, within five minutes of ‘popping out’? …cycle through the heart of Exmoor after a hard day's work? …leave your car parked outside all day, with the keys left in, unlocked, with the windows down on a hot day? …dodge a swooping barn owl when leaving after a late shift? …look out of your office window and see no other building, just endless greenery? …sit outside breathing clean air, talking at normal volume without pausing for sirens and traffic? …pay 30p to park in the nearest town centre car park? …go surfing before you get to your desk and wakeboarding after you leave? …use "we're starting to get sunburnt" as a perfectly normal and reasonable excuse to wrap up a meeting? It’s nice working in Devon. Really, really nice; the awesome views, the clean air, the property prices, the schools, the beaches in winter, seeing my folks on a Sunday, and Hockings Ice Cream. I can’t argue with that, but I don’t think I can push Bray Leino agency life via the location thing. Because, as nice/lovely/wonderful as it is in Devon, it isn’t the location that keeps me here. It’s the people. And the work that we never tire of. And the blend of both which means no two days are the same. We push boundaries, we win stuff, we laugh, we debate, we celebrate stuff, we eat cake, we push ourselves, we argue a bit, we come together, we demonstrate passion, knowledge and drive, and we care about each other. Genuinely, we do. Devon wasn’t really on my radar. But then I met Kate Cox, the CEO of Bray Leino: "It’s a great opportunity to work on brands like Visa, Jägermeister, Pro Plus, Golden Wonder, Rodda’s, Covonia, Castrol and Tefal - in any medium you can dream up – in a big house in the countryside." It sounded very different. The reality is even better. There’s space to think. Room to create. A recipe for success for writers, artists and creative people, time and time again. It’s why people go the extra mile. So, if you want to take a more interesting path - jump on the train from Paddington to Tiverton. I wouldn’t bother buying a return ticket. Want to try somewhere different? We’re looking for client services and creative professionals at all levels. To find out more click here or email recruitment@brayleino.co.uk. 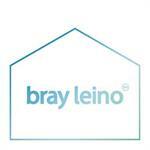 Bray Leino CX: Curious thinker, unafraid of change?